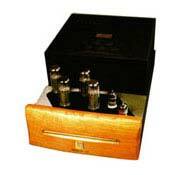 - Class AB stereo power amplifier. - Output power 35-40 W per channel. - Input impedance 50 Kohm/47 pF. - Max power consumption 150 W.